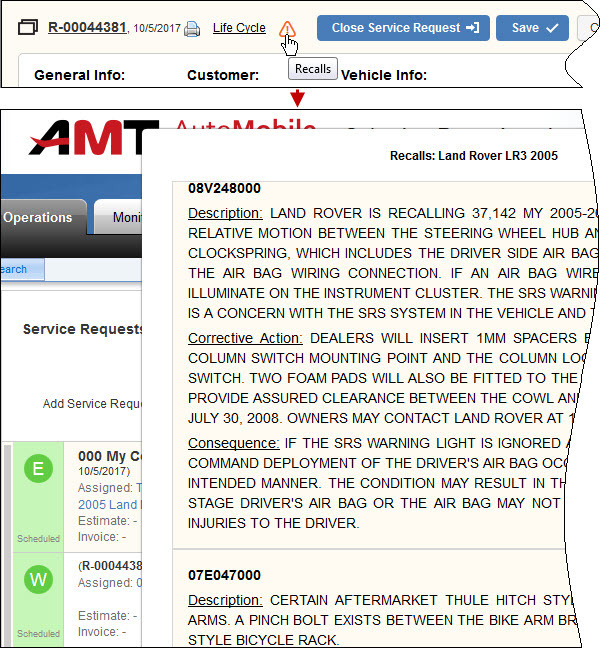 Now you can see whether a vehicle in service requests has ever been recalled, as well as view detailed information on each safety recall. We have added the Owner filter to the Search pane of the Service Requests page, so now you can find service requests created for vehicles of particular owners. Important! This filter shows service requests with vehicle owners entered in mobile app only. We have added the Owner filter to the Search pane of the Inspections page, so now you can find inspections created for vehicles of particular owners. Important! This filter shows inspections with vehicle owners entered in mobile app only. 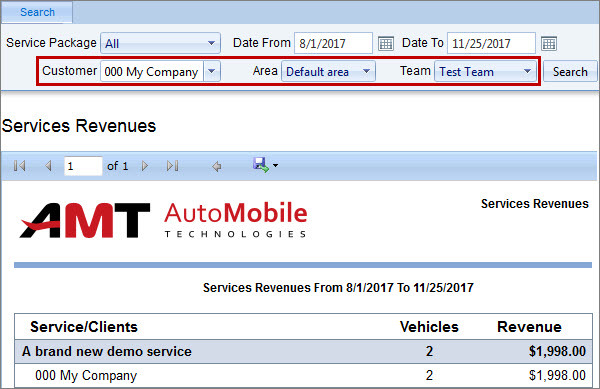 We have added the Customer, the Area, and the Team options to the Search pane of the Service Revenues report, so now you can filter search results by a particular customer, area, and team. 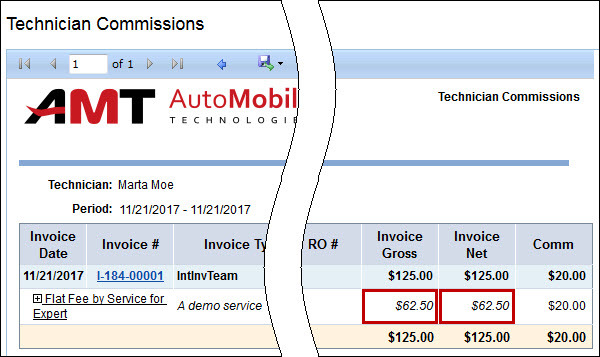 We have added invoice amount split to the Technician Commissions (New) report so now you can see invoice amount (Gross and Net) from which the commissions of a particular technician were calculated. For example, if invoice amount is $125.00, but it was split evenly between two technicians, you will see that commissions of each technician were calculated from $62.50.